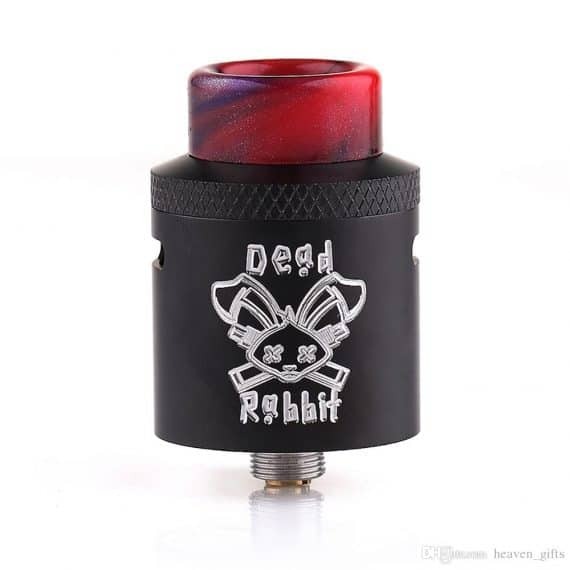 100% Authentic Hellvape Dead Rabbit 24mm Squonk RDA. 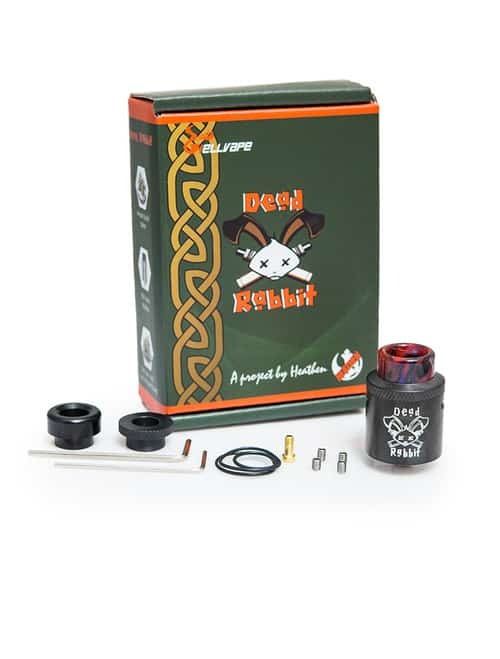 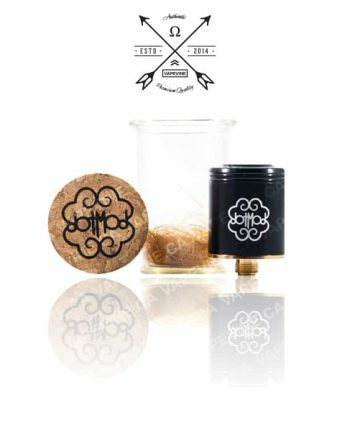 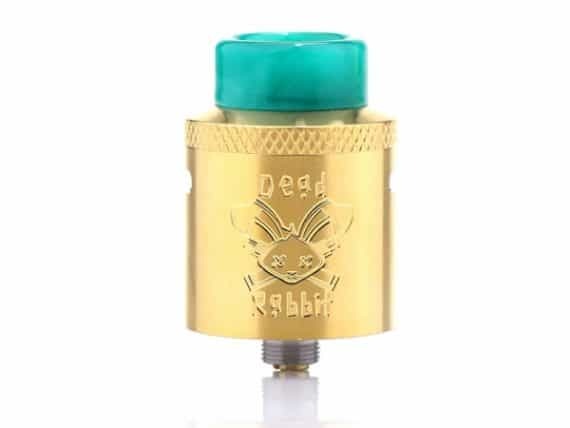 The Dead Rabbit RDA was designed under the direction of the famous vape product reviewer The Vaping Heathen. 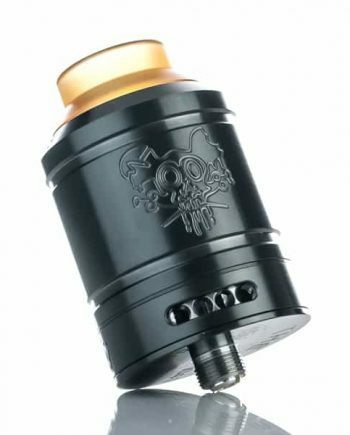 This bottom feeding Squonk RDA maintains great flavor, while still allowing for cloud chasing builds. The Dead Rabbit RDA uses a raised postless-style deck, conical top cap, and a unique leak resistant top-airflow system. 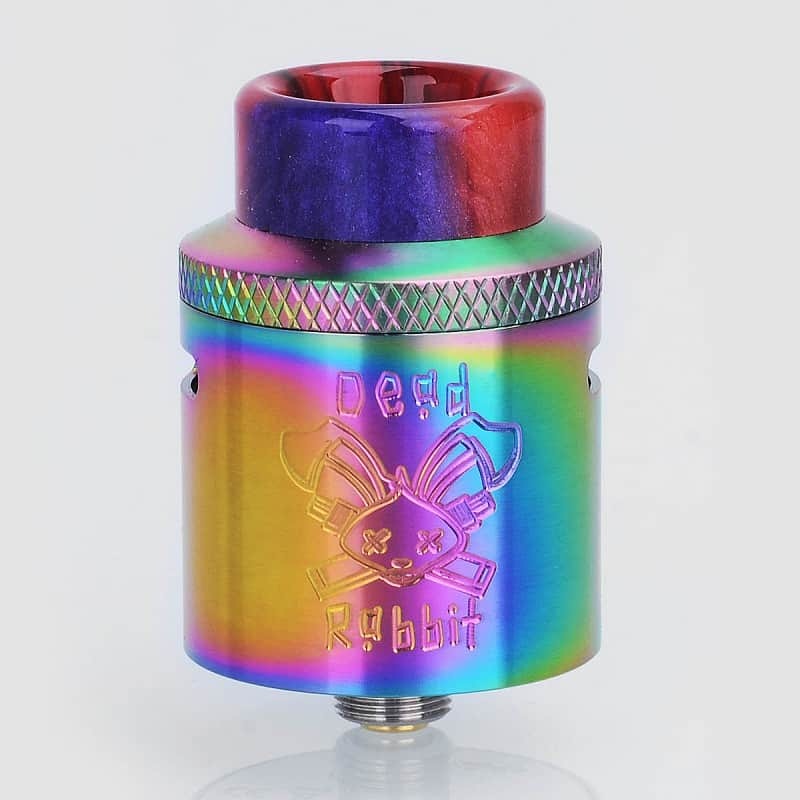 The Dead Rabbit allows for dual or single coil builds, and the coils are raised towards the middle of the chamber, providing great flavour maintenance, and an impressive amount of juice to be wicked, due to the length of the coils, to the bottom of the juice well. 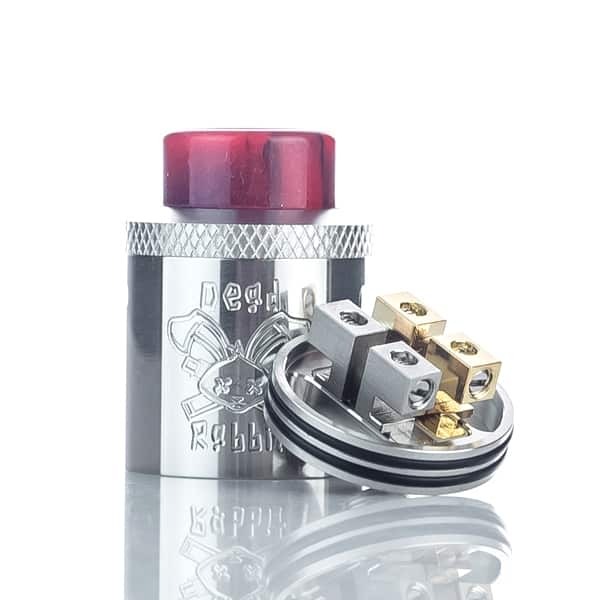 The Dead Rabbit’s squonking pin pours juice into a 5mm deep juice well, which is large for the postless-style deck. 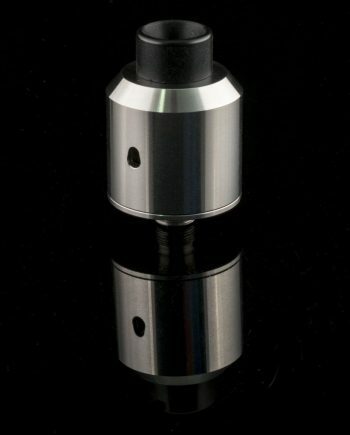 The top-airflow design funnels air diagonally down towards and under the coils, for the most surface area of the coils being covered, for maximum flavour production. 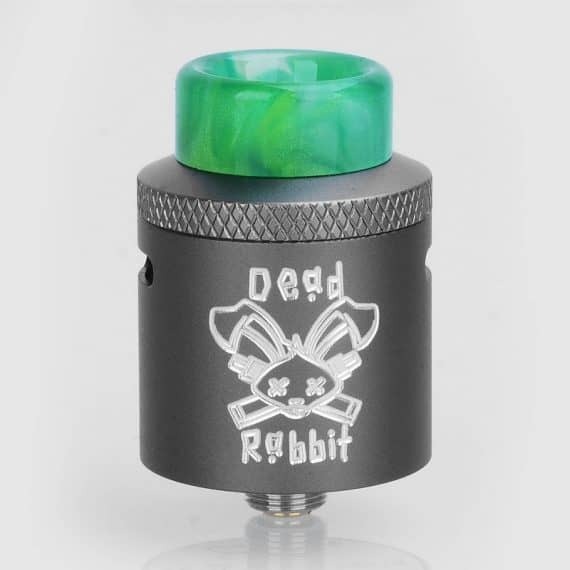 The Dead Rabbit shows impressive machining, and both coloured Resin and Black Delrin 810 drip-tip options. This RDA is amazing with way better build-quality than I was expecting for the price. 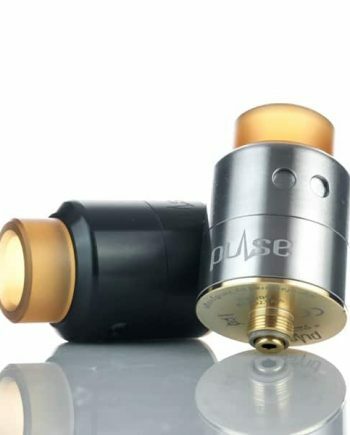 It’s bigger than I thought and gives the best flavour of all the RDAs that I own.